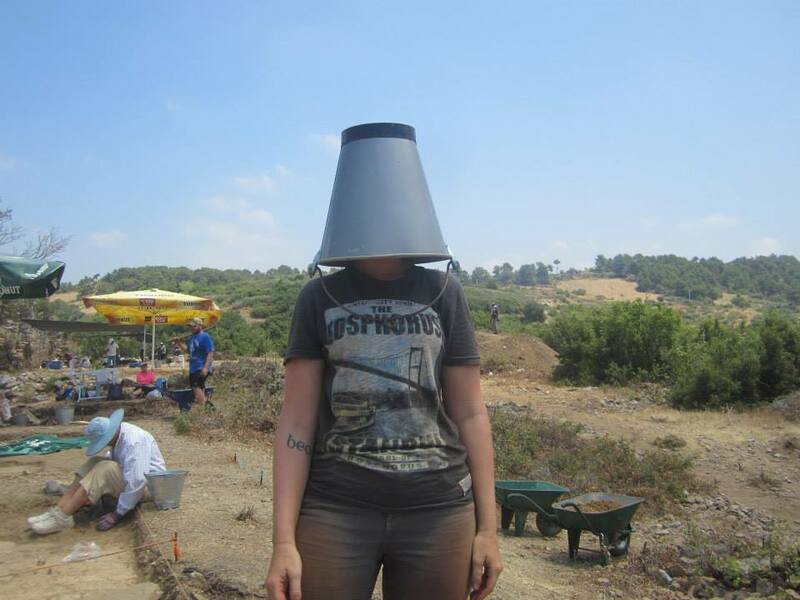 And so ends week 3 of the excavations at Antiochia ad Cragum. It has been quite a week, a major find that I can’t even tell you about yet, yes I know I am a tease. Numerous trenches have been dug, blocks recorded and snakes killed. We even uncovered another inscription which is clearly out of situ because it is in a wall but upside down. The inscription looks like it dates from the mid to late first century AD from the letter forms so it could be an interesting find when I get round to giving it more attention. But first we have more trenches to finish! The trenches at the bottom of the temple hill have been closed due to bed rock, bed rock and more bedrock. Thus we moved up towards the bathhouse mosaic and opened a number of trenches hoping to find something between the mosaic and the temple hill. No luck… less than 20cm down we hit bedrock again and earned ourselves the nicknames of the bedrock queens. If people think that archaeology is all amazing finds or at least finds, well it is, we find amazing amounts of dirt, stones and bedrock. With that we moved to open another trench onto of the temple but haven’t got far with it yet. So far I have found a modern 80’s cassette tape and more dirt. Elsewhere on site the Turks have continued to uncover the mosaic and have almost finished uncovering the length of it close to the bathhouse wall. In the next week we will be working on cleaning it so look out for photos in the news and on facebook. The Clark University team have also completed work on the blocks in the block field up by the main temple complex on site and have now moved down to work with us in the agora. 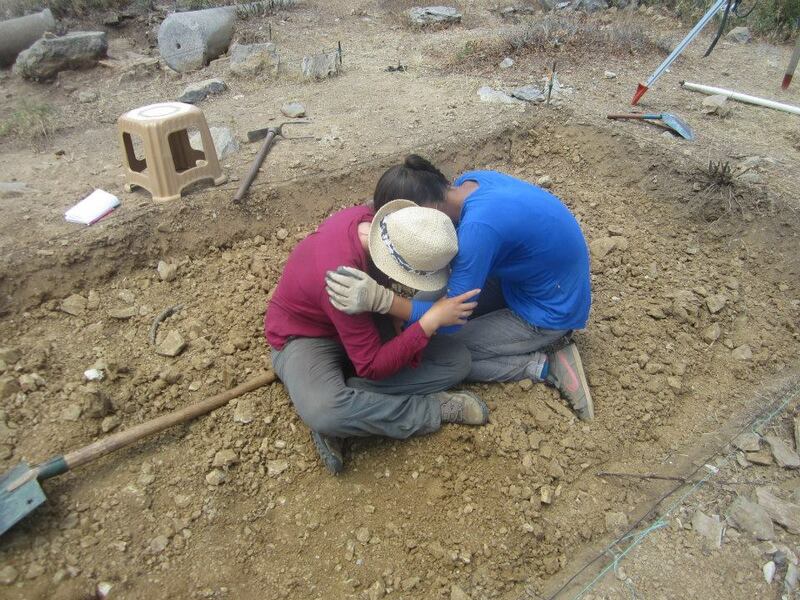 They have opened a trench to the North of the temple and are currently learning that archaeology involves roots and spikey branches, and hitting rocks with mattocks which sends vibrations right up your arms, a horrible feeling. You can’t be a wimp if you want to do archaeology. On the bright side though they seem to be enjoying doing something different and their enthusiasm is spurring the others on who have by now got a little fed up of countless days of making mud pies. Also by the mosaic a block with face has become visible which could be the pediment over the entrance to part of the building. Outside the site the students have had the opportunity to visit the site of Lamos which I wrote about last year. Check out previous blog entries. Some of us though opted to take the day in Alanya instead yesterday. 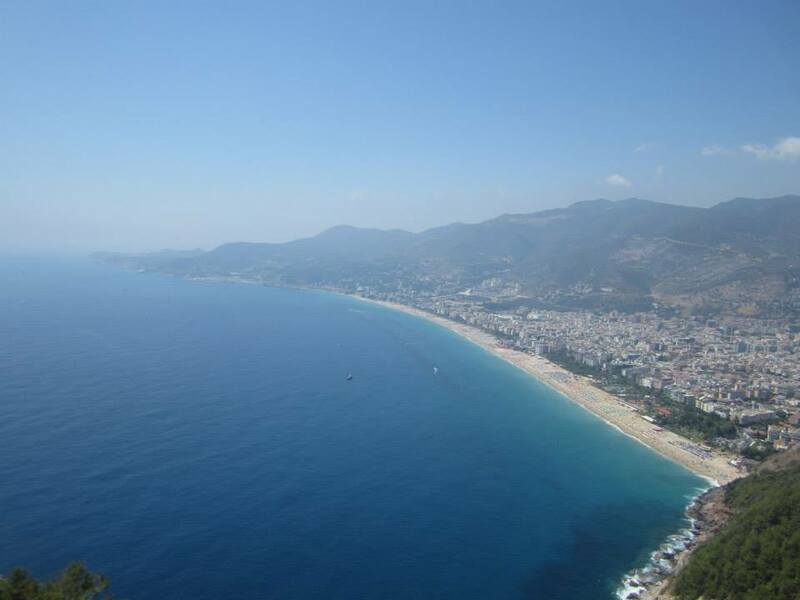 The city of Alanya is an interesting one, a mix of modern tourist sights and archaeology and history. Alanya is based on the ancient city of Coracesium (in the Latin) from the Luvian word Korakassa meaning ‘protruding city’. The archaeology includes a large multiple period fortress and castle. 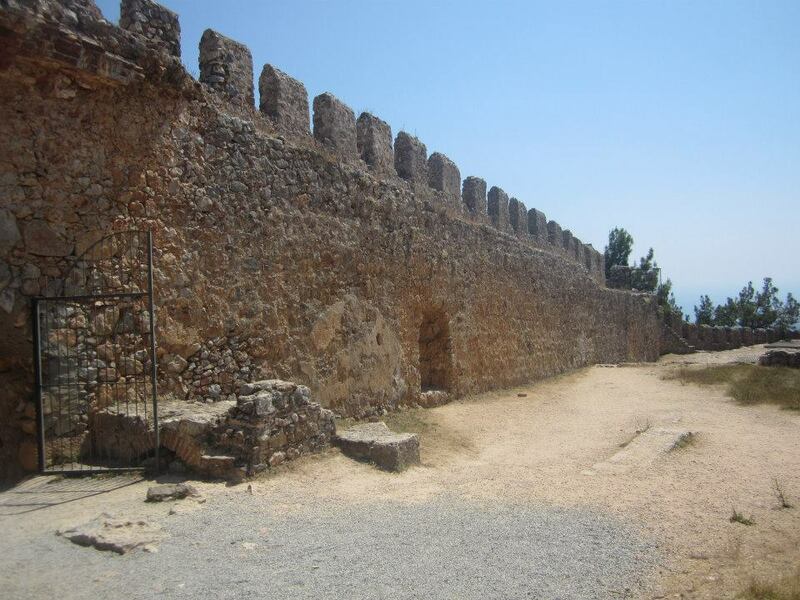 The fortress contains 140 towers and is situated on a point that protrudes from the middle of the city. The end of the point also contains a small Byzantine church and buildings on the cliff furthest out. The Castle complex includes a number of huge cisterns and a well, barracks and another Byzantine church. The Castle also boasts the best view I have ever seen in Turkey. Amazing! 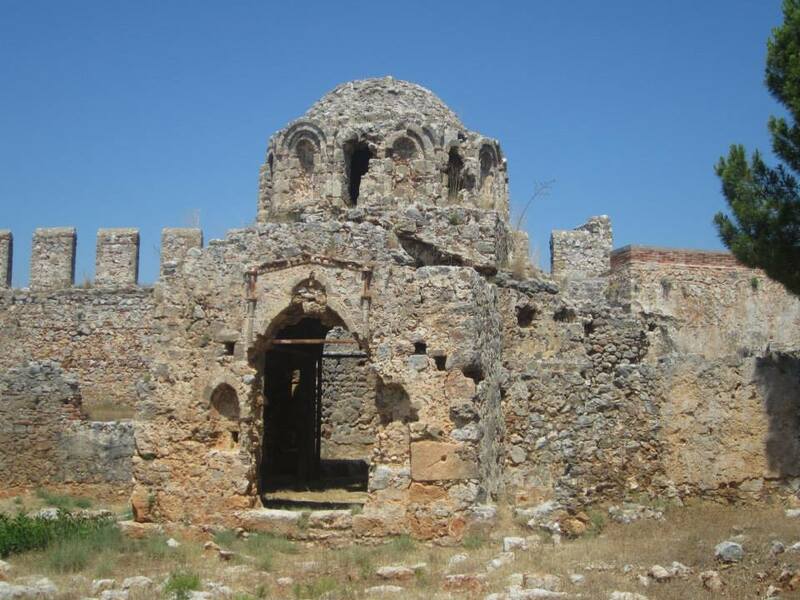 This entry was posted in Archaeology and tagged Alanya, Antiochia, Antiochia ad Cragum, Archaeology, Byzantine, Clark University, Cragum, Mosaic, Nutella, Temple, Trench, Turkey.